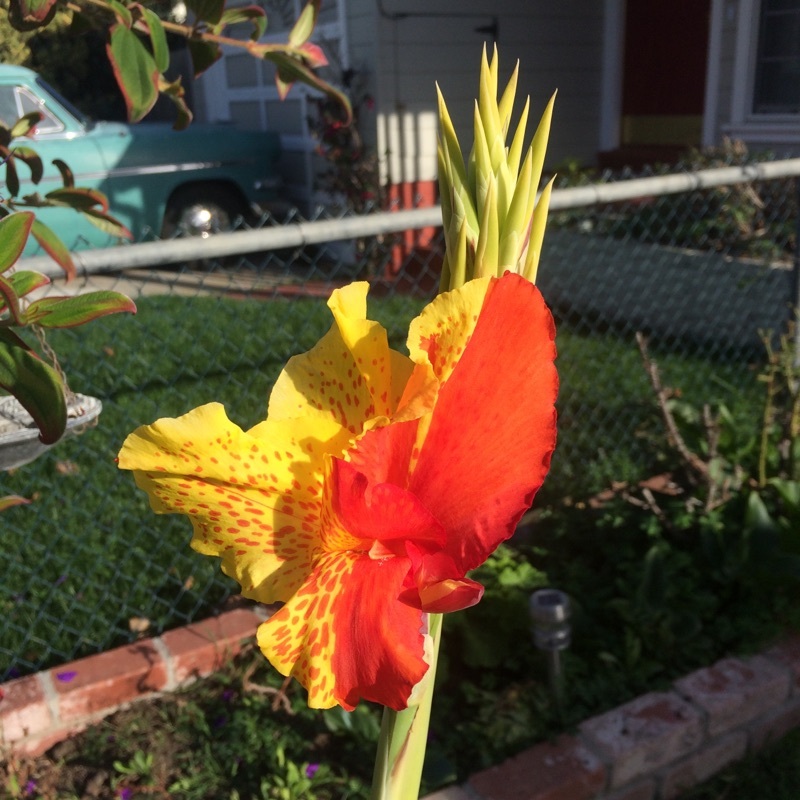 This appears to be a Canna lily. Cannas are prized for their showy leaves and striking spikes of large flowers in reds, oranges, white, cream, yellow, pink or bicolors. They develop from rhizomes and do best in full sun and regular water during growth and bloom cycles but will live on year after year with little care. In mild winter areas such as where you live, Cannas can be left in the ground all year long. Where winter frosts are common, the rhizomes can be dug up and stored in a cool, dry place until the danger of frost has passed and re-planted. Yours might be the 'Yellow King Humbert' cultivar known for its highly unstable coloration and contrasting markings in red and orange. There are however many, many cultivars in a a variety of stunning hues and bi-colors. 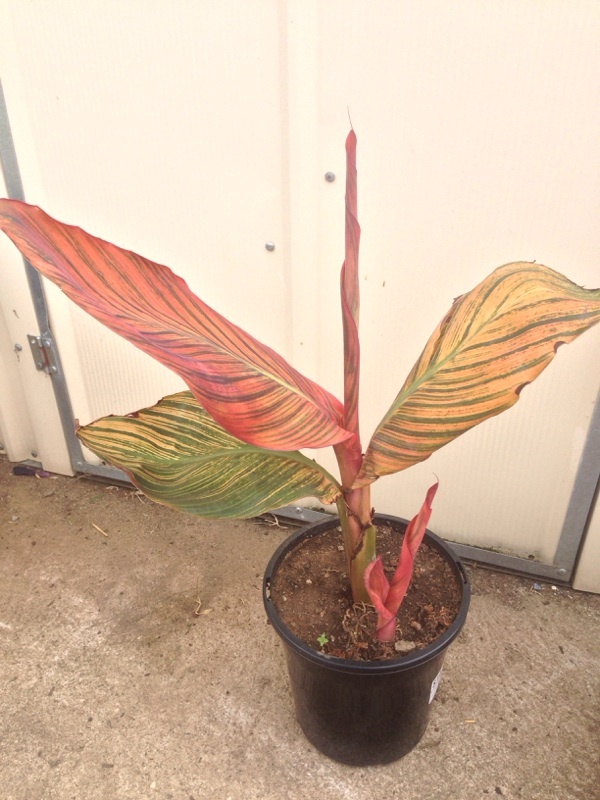 This appears to be a Canna lily and you will be certain when it blooms. Cannas are prized for their showy leaves and striking spikes of large flowers in reds, oranges, white, cream, yellow, pink or bicolors. They develop from rhizomes and do best in full sun and regular water during growth and bloom cycles but will live on year after year with little care. In mild winter areas such as where you live, Cannas can be left in the ground all year long. Where winter frosts are common, the rhizomes can be dug up and stored in a cool, dry place until the danger of frost has passed and re-planted. There are many, many cultivars bearing flowers that come in a variety of stunning hues and bi-colors. Yours may be the cultivar 'Tropicanna,' but there are other similar cultivars as well. Your cut flower is likely an Asiatic hybrid lily. Unfortunately, there are so many hybrids and species that we cannot identify the specific cultivar for you. As plants, they grow from bulbs and are easy to grow and one of the most reliable growers in the garden. Also, they bloom in late spring or summer depending on the species and cultivar, some fragrant, some not. Yours florist variety was likely greenhouse grown and forced to bloom in late winter/early spring. They do best when planted in direct sun and regular water. Continue to care for them after the flowers are spent and until the foliage yellows and dies back and they will come back year after year. Popular as a cut flower for their beauty and often for their fragrance. 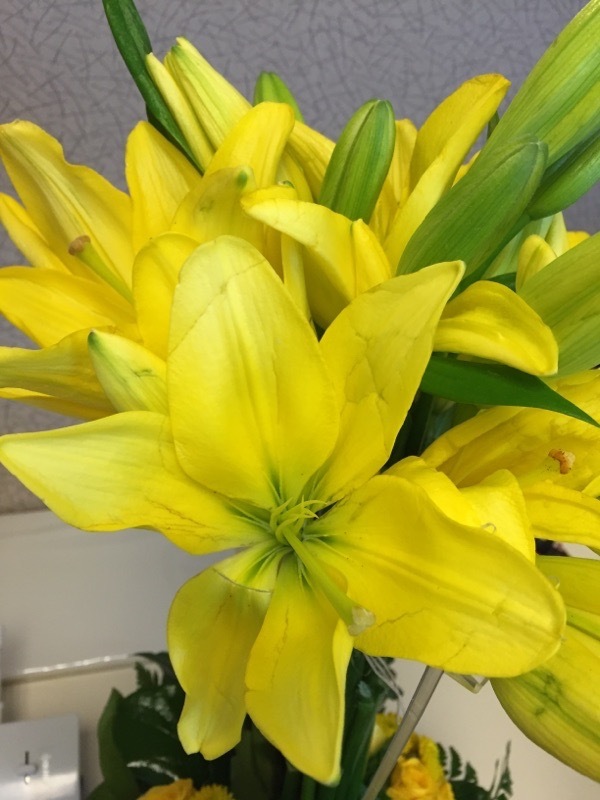 Your cut flower is likely an Asiatic hybrid lily. Unfortunately, there are so many hybrids and species that we cannot identify the specific cultivar for you. As plants, they grow from bulbs and are easy to grow and one of the most reliable growers in the garden. Also, they bloom in late spring or summer depending on the species and cultivar, some fragrant, some not. Yours florist variety was likely greenhouse grown and forced to bloom in late winter/early spring. As plants, they do best when planted in direct sun and regular water. Continue to care for them after the flowers are spent and until the foliage yellows and dies back and they will come back year after year. Popular as a cut flower for their beauty and often for their fragrance. Yours is lovely! These are paperwhites, the most common Narcissus for forcing inside in northern areas but also grown in warm winter gardens. Paperwhite flowers are extremely fragrant. One of the questions many who have these inside ask is if they can plant the bulbs outside in the spring, or if it's possible to make them bloom again indoors. Unfortunately, these are bred to be a one-bloom indoor bulb. They are not hardy in the Northeast, so can't be planted outside. Enjoy them indoors while they are in flower but then throw them in the compost once the flowers die - they only blossom once. One thing we often recommend is to buy some new paperwhite bulbs NOW, so that when these are done you have the new ones to start and enjoy the process all over again! Arum, genus of low-growing tuberous perennial plants in the family Araceae (order Arales). Of the 32 species generally recognized, a few are grown for their showy spathe, a funnel-shaped bract surrounding the rodlike spadix (on which the tiny flowers are borne), and for their glossy, arrow-shaped leaves. The bitter, burning taste of the plant’s sap may have led to the genus name Arum, from the Arabic word for fire (ar). The sap can be poisonous, especially as concentrated in the whitish rootstock and the brilliant red berries. In most cases the spathe is a dull yellow-green outside, but it may be varicoloured and often curves back to expose the inner surface. The more colourful varieties are handsome plants for a shaded wild garden. The best-known species is the cuckoopint (Arum maculatum), also called lords-and-ladies. This plant is native to southern Europe and northern Africa. Plants of the genus are not hardy much below freezing temperatures. 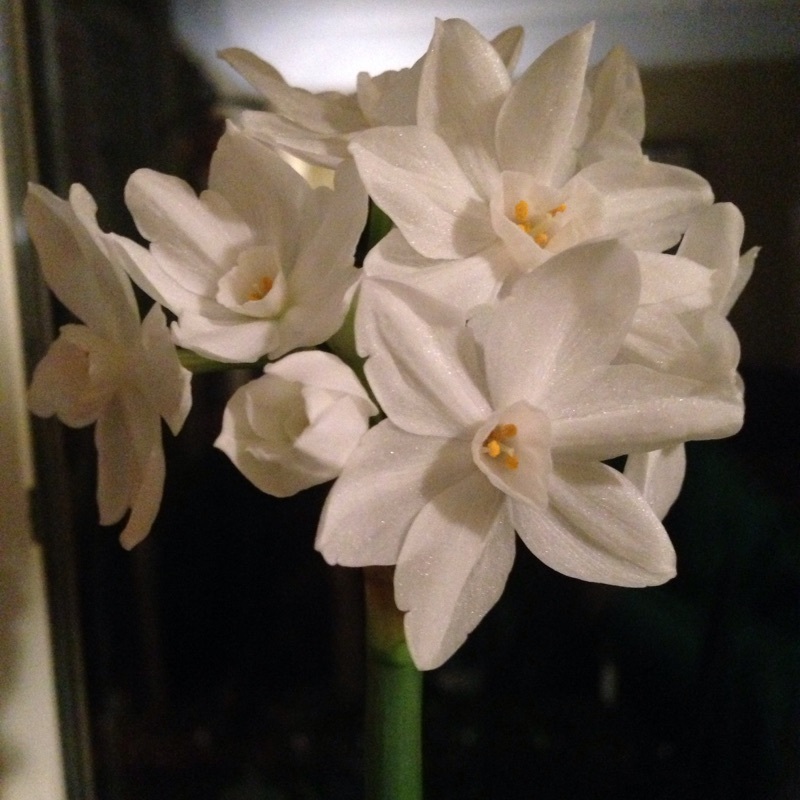 One of the customs for Chinese New Year is to have a pot of blooming äóìsui sin fahäó (translated in English, water fairy) or as we know it, narcissus in the home. If the plant flowers on Chinese New Year, it is an omen that the rest of the year will bring good fortune. Narcissus bulbs when placed in water or soil typically grow with erect leaves and spikes of flowers, but there are other imaginative growth forms. Bulb carving is an ancient art form originating from the Fujian province in China. 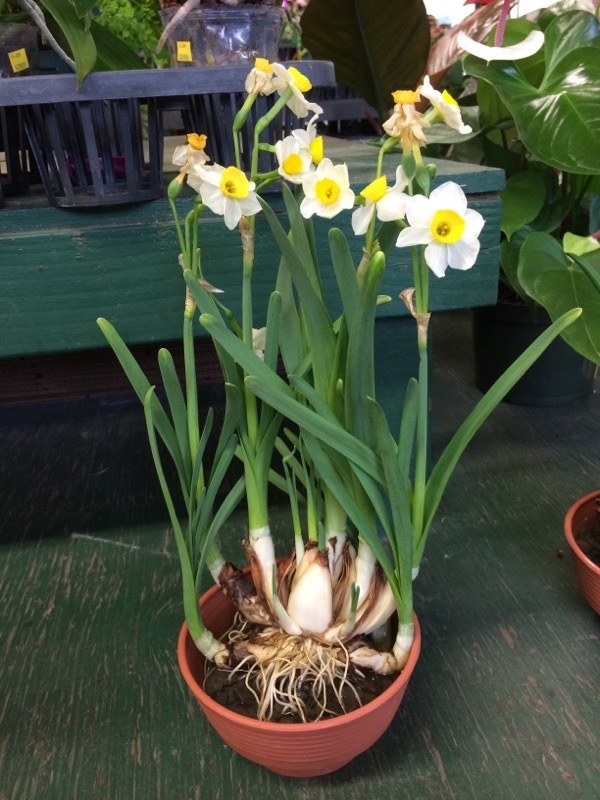 After years of training and with surgical-like skills, the advanced student can dissect and scab a narcissus bulb until it resembles multiple cloves of garlic forcing the foliage to curl as they grow and flower, giving the plant its convoluted and twisted character. Some are even shaped to look like snails and roosters. Known as the crab-claw method of carving, it is commonly practiced on Narcissus tazzeta var. orientalis (Chinese Sacred Lily). Hesperocallis is a monotypic genus with the single species, Hesperocallis undulata. Originally considered to belong to Liliaceae, APG II included it in its own family, Hesperocallidaceae or in a broader Asparagaceae according to APG III. It is an erect perennial with onion odor from deep seated, tunicated bulbs, with glaucous leaves and straight stout stems. Found in sandy flats of creosote brush desert scrub in some of the most arid regions of North America (deserts of southeastern California, Baja California and Sonora, Mexico, and southwesten Arizona), it flowers only after infrequent rains. 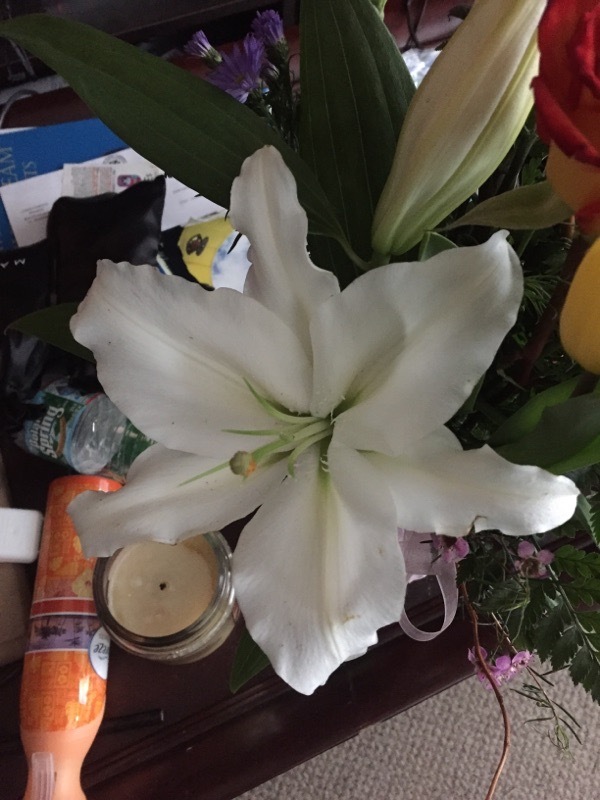 Flowers are large, white with a silver or green midstripe and are fragrant, especially at night. Because this "Desert Lily" is very beautiful, bulb fanciers would love to bring it into horticulture. The seeds germinate easily in winter when grown in a well-drained mix. It is important to keep the seedlings in growth and not allow them to go dormant. 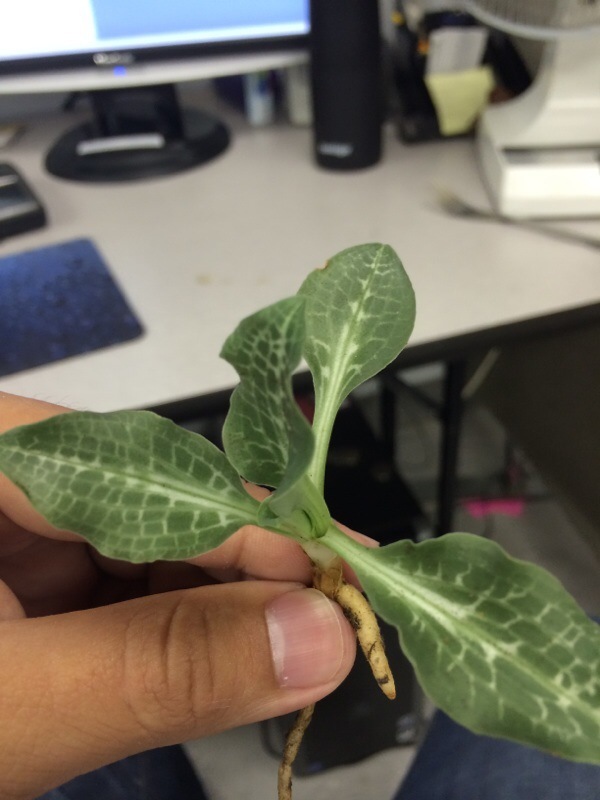 Once the seedlings go dormant, getting them to break dormancy is a challenge. Even a few who have gotten them to come into growth again have not had success in getting plants to bloom. 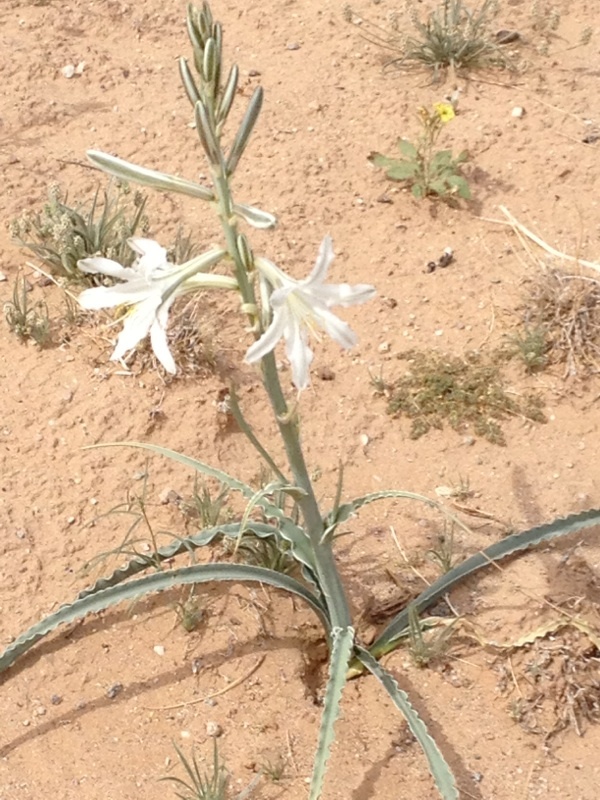 The Spanish settlers called this plant Ajo, which means garlic. They got the idea when they dug up one of the bulbs (not a good thing to do) and tasted it. This isn't frost damage on these plants. First of all, daffodils can tolerate spring frosts as you have seen in the past. Secondly, if it was frost damage you'd see the same browning on more plants, not just that clump. Or you do see it on other groups that aren't in this photo? If so, frost is possible but I'd still say unlikely. 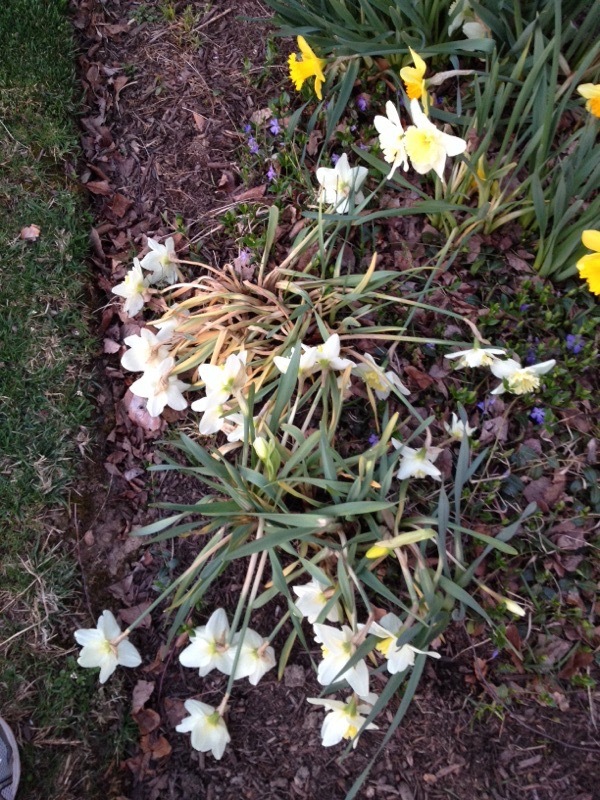 We'd recommend that you dig up the worst of group shown and look at the bulbs/roots. One possibility is that something has eaten the roots or part of the bulbs - the plants could have had enough energy in what was left of the bulbs to break dormancy and start to flower, only to have it all crash when they didn't have roots to support that growth/flowering. If the bulbs look fine replant them. The second possibility is that something hit this clump. Dog urine, or something else. Also, was the lawn recently treated or fertilized? this could be fertilizer burn from lawn fertilizer being kicked and/or washed into the bed, possibly along with weed killer that is in some lawn fertilizers. If there are others that look this way and they too are near the lawn I'd suspect some lawn product as a cause. Since the bulbs won't have the foliage to feed them for this year they might be gone - you could think about marking the places where the plants have died and replanting some bulbs next fall. Allium and muscari are both fully hardy in the Northeast. Do not dig them up and bring them indoors since that would not only be extra work for you, but would also result in weaker plants. 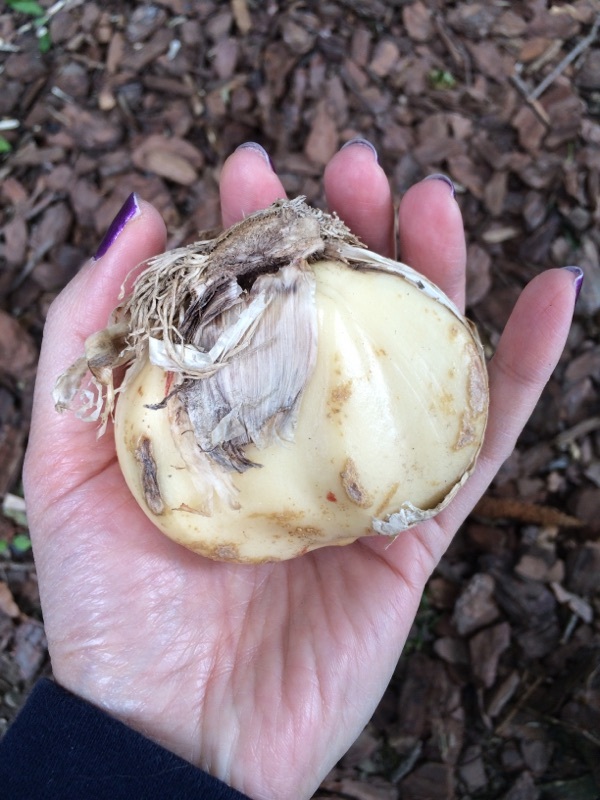 Hardy bulbs grow root systems that remain in place over the winter and are there to provide nutrients and water to the plants right away in the spring. Since they have their roots in place, the bulbs can use all of their stored energy in making flower stalks and leaves. 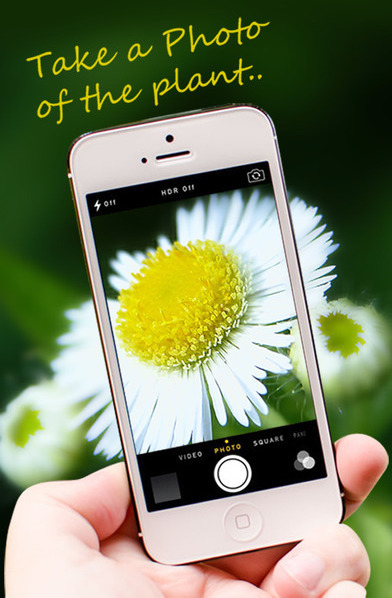 If a bulb is put into the ground in the spring, however, it must use some of its energy to first make roots before it can grow the flowers and leaves. That's why hardy bulbs are planted in the fall, so that they can grow roots in the fall that will sustain the plants quicker in the coming growing season. Be sure to scatter an organic fertilizer over the ground in the area where your bulbs are planted. This is far better than just dumping some fertilizer in the bottom of the planting hole. Keeping the area fertile means that those nutrients will be available to the plants even when their roots grow beyond the planting hole. You don't have to work the fertilizer in, but if you've scattered the fertilizer before planting some of it will naturally get incorporated into the soil when you dig the holes and plant the bulbs.